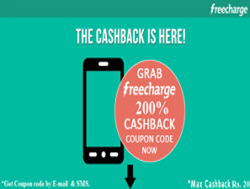 Freecharge Rs 1 Deals , Freecharge Free Cash – Hello guys I hope You Are Enjoying Our Free Paytm Cash Apps & Earning Lots of Free Money. 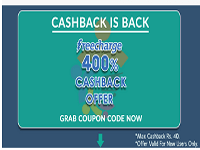 Today Sharing Freecharge Offer where you have to Buy Deal at just Rs 1 and you will get Rs 10 or Rs 12 Cashback. Daily Apps are adding New-New Option & More Services in their one App Because People’s Will not Have to Install Separate App for Each Services. Similarly Freecharge added New Deals Option in There App like Previously they added Google Play Option in which you can buy their partners Coupons at Cheap rate like vishal mega mart , Myntra etc. So total You Invested Rs.14 to buy all Deals inexchange you will get more than Rs.69 Cashback in your Account with Extra Discount Vouchers of Freecharge Partners. The Offer is Valid for All Users. 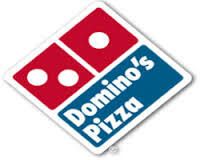 100% Cashback upto Rs.12, Valid only on Recharges & Bill Payments only. Not valid on Add Cash Transactions. Not Valid on virtual / prepaid/ temporary / international cards Payments. Cashback can be User on partners stores & Next Transactions, Non Withdrawable & Valid for 185 Days only from the date of credit. 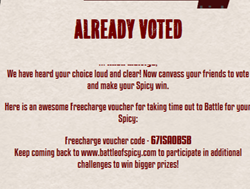 Discussion on "Freecharge Rs.1 Coupon Deals :Get Free Rs.50 Cash [All Users]"